Paul Koudounaris, author of the excellent The Empire Of Death, has written another guide to the display and veneration of human skeletons. Memento Mori: The Dead Among Us is more global in its coverage, featuring examples of ornamental and ceremonial human remains from Europe, Asia, Africa, and South America. 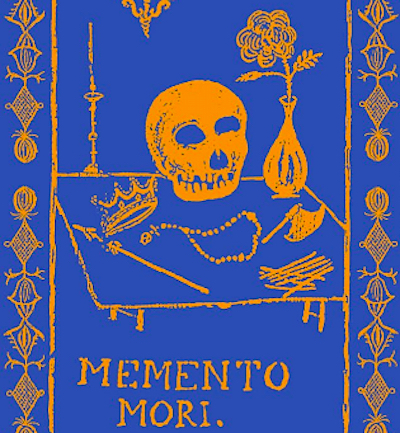 Less Gothic than its predecessor, Memento Mori is also exquisitely designed, with a blue satin cover and full-page colour illustrations (including a fold-out spanning four pages).